Head over to our Guy Style Pinterest Board for style tips and trends. In the world of fashion, there’s an ever-growing catalogue of different styles. So really, if you love wearing watches, owning one watch is simply not enough ;). There are sporty watches, dressy watches, and watches with quirks that add an element of interest to your style. Collecting watches is a growing style trend, so how do you get started? If you’re looking to create a watch collection, here’s a few staple styles to get your started! All the gym-junkies and sportswear lovers will be familiar with this style of sports watch. Usually found in bright colours with silicone or plastic bands. This style of watch is perfect when you’re working out or going for a walk with friends. Who doesn’t love a little bit of vintage? Throwback to when glamour and sophistication were the epitome of style. For the guys, we love this men’s Tommy Hilfiger leather watch with classic American style. For Ladies, go vintage with a rose gold Fossil watch with slim chain-style band and pair with some bracelets for a classic layered look. Getting dressed up is the perfect occasion to don your latest timepiece. Great brands to look to for sophisticated, dressed up watches include Hugo Boss, Michael Kors and Marc Jacobs (just to name a few). Of course, we’d love to all own our our Cartier collection, but whose got that type of money sitting around? Time to get digital! 21st century is all about digital and if you’re not into the whole Apple watch scenario then a good digital watch works well! Some even have Bluetooth functionality to link up with your smart phone. Great for getting call and email alerts and for those times when you need to find your lost phone. Nothing says quality like a good leather band. Women’s leather band watches are great for both dressed up and dressed down occasions. Men’s watches in leather exude style and confidence; go for something with a light brown leather for a different look. For those times when you feel like wearing something fun, unique and a little bit out there! Go for something with bright colours, bold patterns and something that is bound to get you the right type of attention! If you like something you see here and you’re ready to grab a new watch to add to your collection, click on the images and check out the range of watches available on Catch of the Day! You’ve always got time for a new watch! Get it? Good one! Do you have a watch collection? What’s your favourite go-to style for watches? Loving the finer things in life, the trendy traveller has a defined style with all of the essentials for an effortless look. We’ve compiled 7 great gift ideas for any guy who loves a worldly style, for a fraction of the price! Compasses are a quirky, great gift idea for a guy with style. There’s something about giving the gift of direction that really sends a positive message. For whenever he gets himself a little too far into the wilderness, a trusty pocket knife is the essential tool. Adding a pop of colour to an outfit, such as our Van Heusen Paisley Silk Green Tie works well to brighten up a classic men’s look. A tie is an inexpensive gift idea that’s full of personality! 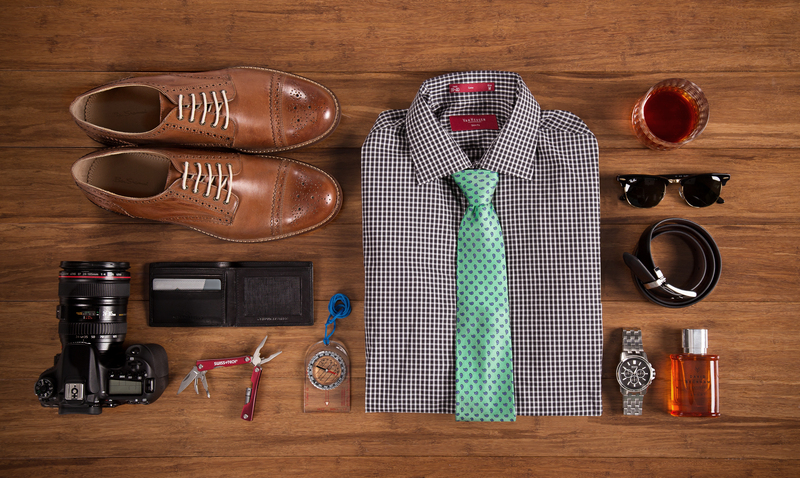 Check out our Guy Style Pinterest Board; the best looks and products for men with style! Nothing says men’s style more than a statement watch, and when your put Hugo Boss and watch design together, you really can’t go wrong. Be careful to choose wisely, the kind of watch a man wears say’s a lot about his personality! A belt in a man’s style is like the exclamation point on his look! 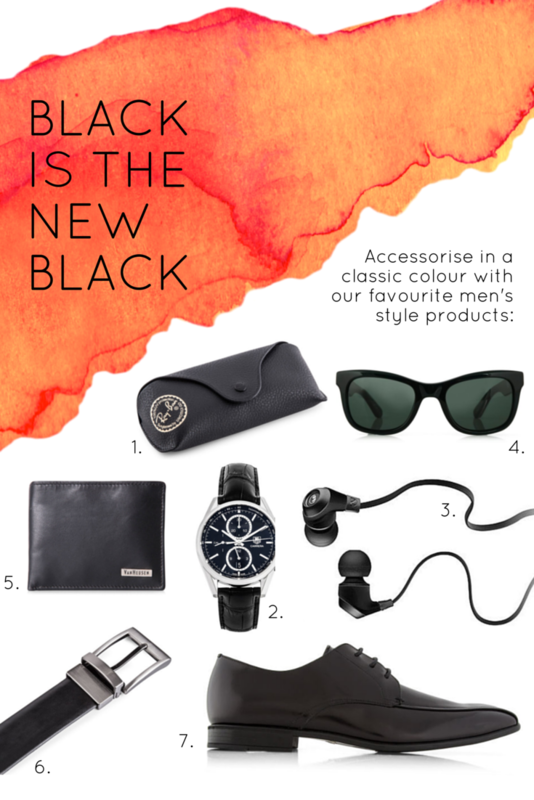 Currently we are loving the range of Men’s Style Accessories over on Catch of The Day, including the range from Van Heusen. No trendy traveller would even think of leaving the house without a pair of classy sunglasses. Tried and true Ray Ban sunglasses are the best brand to go for! A man’s wallet is perfect in a dark shade of brown or black leather and also makes for a great gift idea. Do you have any great men’s style gift ideas? Let us know so we can add it to the list!